Our mission is to create and add value to the community in which we operate. The sole commercial objective of Pepperell & Associates is increasing the net financial worth of its clients. It will be acknowledged as the leading business accounting and advisory practice in the region. The firm will maintain a proactive approach in supporting and developing businesses by using their industry knowledge and experience. This will be achieved though their continued commitment to expand and improve the expertise of their motivated and friendly team. The partners will place the welfare of the firm, and that of its clients above their own self interests. However it will always be understood that the partners can expect to receive fair compensation reflecting the value of their contribution and the capital they have invested. The firm will revisit its mission, vision, and strategy on an annual basis at the partners retreat. Pepperell & Associates will adopt a totally professional and focused marketing strategy and will at all times act in accordance with the highest standards of ethical conduct. Clients will be accepted on the basis they meet our desired client profile and that they perceive the value in the work that will be completed for them. The vision of the firm must permeate the core of their marketing themes and be evident in all communications with clients. The firm will be innovative in its service line development and will be guided by its principal purpose of increasing the net worth of its present and future clients. The services offered by the firm will be clearly defined, highly structured, and priced in accordance with the value they represent to the client. Reporting lines will be clearly defined and will maintain the flattest structure possible. Decision making will follow a corporate model rather than a traditional partnership/management by committee structure. Only the best candidates will be hired as team members. Team members will be proud to be part of the firm and will benefit from above average compensation, an excellent and enjoyable working environment, an opportunity for professional development and personal growth, and involvement in the decision-making process within the firm. There will be a high level of trust and mutual respect among all team members, partners, and clients. Every person in the firm will understand and subscribe to the firm’s vision and the role they play in accomplishing that mission. Pepperell & Associates will focus on using leading edge technologies for communicating effectively with their clients, team members and the broader community, and to ensure the highest levels of productivity. Planning and financial control are key to the profitable management of the firm. Financial performance is their ultimate measure of success, both within their firm and as measured against peers. The firm understands that while change can be difficult, it is imperative for the long term survival of the business. The firm will support and encourage the team and their clients to embrace changes that are of value and benefit all concerned. 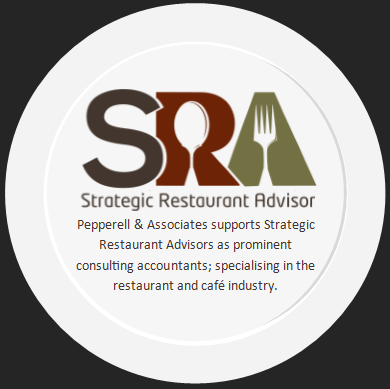 Pepperell & Associates will undertake regular initiatives that assist in understanding the reasons for change and how to embrace it.